Experience all the colors of the promotional rainbow with this cup. 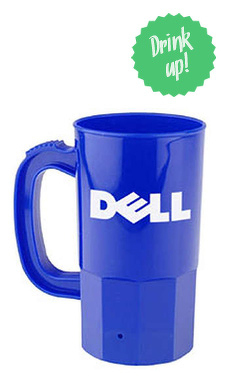 The custom Full Color Cup is a great way to show off your company's logo at any event. With our four color printing process almost any logo despite the color can be added to this cup. The top has a folded edge making it easy to pour out any drink with precision. Similar to the Smooth Cup 22 oz this cup is perfect way to show off your image. Holding almost two pop cans worth of liquid this cup is the greatest way to display your company.